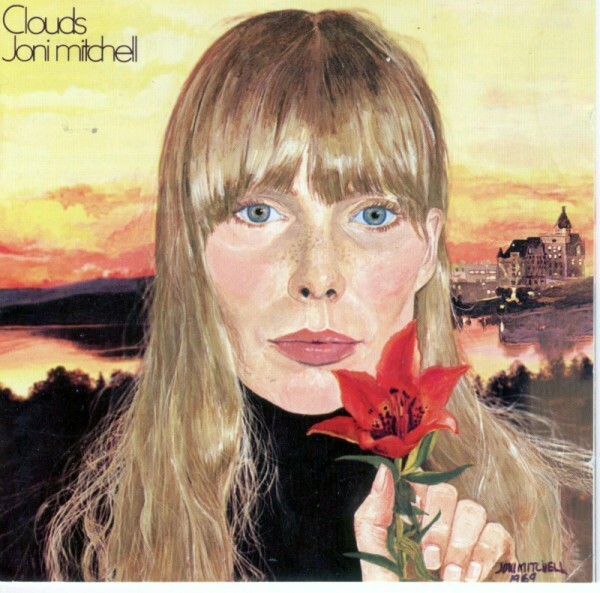 Joni Mitchell has expressed dissatisfaction with 1969’s Clouds, dismissing it as merely an attempt to emulate the style of Crosby, Stills and Nash. Clouds and the first CSN album both came out in May 1969, but that doesn’t invalidate her retrospective judgement – being so close to the major players in CSN, she’d have heard the songs from their debut from their very earliest stages. 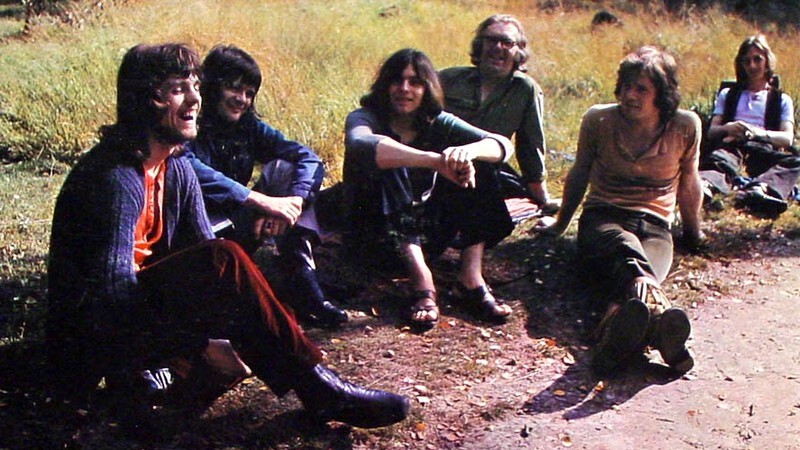 Indeed, some versions of the Crosby, Stills and Nash creation myth have them singing together for the first time at her house (others say it was at Mama Cass’s). She’s overstating, I feel – Joni’s songs rarely have anything in common with Graham Nash’s, except they both take their personal relationships (and at times, of course, their relationship with each other) as subject matter, and her work has even less to do with Stills’s, musically or lyrically – but Clouds does find her at her most Crosby-like. Specifically, the modal-medieval Crosby of If I Could Only Remember my Name. It’s a style that is otherwise Crosby’s alone, so work that sounds similar stands out. If she did feel later on that she had been trying to copy CSN, then perhaps Tin Angel is the song that she was thinking about most. Long-time readers of this blog may remember that I love David Crosby’s music: the mood, the voice, the harmonies, the chords, the whole bit. 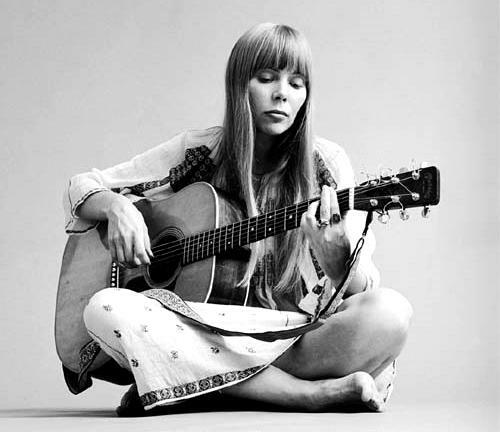 And similarly, I can find the good in almost any Joni Mitchell song, so Tin Angel is almost tailor-made for me. It’s a gloriously stark piece of work, with an elegant, elongated melody that circles round upon itself, only resolving after ten lines with a glorious Picardy third. Her guitar playing (on one of those vanishingly rare occasions when she played in standard tuning) is, as always, top-drawer. The mood, though, is one of ambivalence – the singer knows that she loves someone ‘dark with darker moods… Not a golden prince who’s come’. ‘What will happen if I try to place another heart in him?’ the singer can only ask, pointedly not ending the song on the major chord that closes each of the song’s long verses, returning instead to the minor that begins them. Elsewhere on the album she goes too far down the mystical-medieval path (Roses Blue and Songs to Aging Children Come are missteps – no getting away from that) and there’s some overbalancing tweeness (The Gallery, Chelsea Morning) I could live without, too. But any album that contains Tin Angel, I Don’t Know Where I Stand and Both Sides Now deserves better than it has received from its own creator, and it’s still probably the most satisfying of her pre-Blue albums. If you’re a casual fan interested in hearing something of her early music, Clouds – and not the more lauded Ladies of the Canyon – is where I’d direct you. This entry was posted in Music and tagged 1969, acoustic guitar, alternate tunings, Blue, Chelsea Morning, Clouds, Crosby, CSN, David Crosby, fingerpicking, Graham Nash, If I Could Only Remember My Name, Joni Mitchell, Ladies of the Canyon, Roses Blue, Songs to Aging Children Come, standard tuning, Stephen Stills, Stills and Nash, The Gallery, Tin Angel on March 27, 2014 by rossjpalmer.